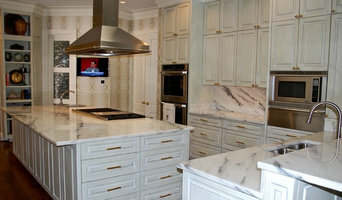 Tile, Stone, Wood installation company in Dallas/ Fort Worth areas. Fine Line Flooring has been in the floor covering industry for over 20 years working in Arizona, California, and Texas. All of us have knowledge in all phases of the industry. We will work with you from design to installation and beyond. We pride ourselves on giving our customers what they desire, if it is possible we can do it. If you already have your own material we can get that installed as well. In addition to basic surfaces, many Naval Air Station Jrb, TX tile, stone and countertop contractors can create and install murals and mosaics, as well as add decorative edge treatments to countertops. They also repair or replace surfaces in the event of chips, cracks, stains or other damage. Many tile, stone and countertop professionals also install shower pans, radiant-heat flooring systems and other common components of surfacing jobs, often working in tandem with Naval Air Station Jrb, TX plumbers or other professionals. Here are some related professionals and vendors to complement the work of tile, stone & countertops: Interior Designers & Decorators, Architects & Building Designers, General Contractors, Kitchen & Bath Designers, Design-Build Firms. Find a tile, stone and countertop contractor on Houzz. Narrow your search in the Professionals section of the website to Naval Air Station Jrb, TX tile, stone and countertops. You can also look through Naval Air Station Jrb, TX photos to find tile, stone and countertop projects you like, then contact the contractor who worked on it.